Many types of tropical plants can be grown indoors under fluorescent lights, although some flowering plants may require extra care to bloom. The distance between the fluorescent tube and the top of the plant varies with the species and the amount of artificial and natural light already in the room. If the plants are too close or touching the tubes, then they will burn. If they are too far away, then not enough light will reach the plant. 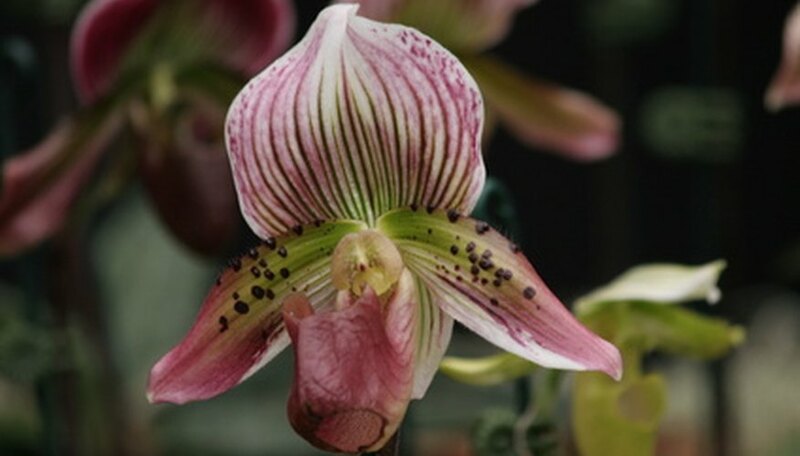 Tropical slipper orchids of the genus Paphiopedilum do well indoors under fluorescent lights. They like normal household temperatures, although the humidity level may need to be augmented to keep it above 50 percent. Place the plants at about 8 inches above the top of the plants. 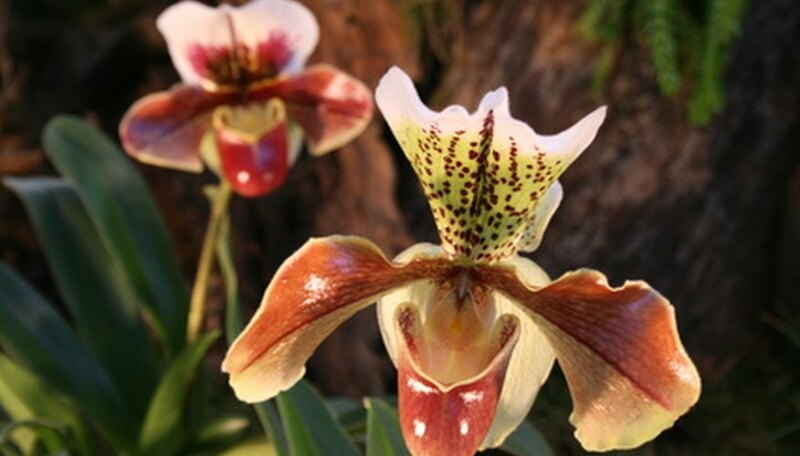 Slipper orchids need a well-draining potting mix, such as fine-grade fir bark. They like to stay evenly moist, but not wet. Never let the plant dry out. If the leaves are dark green, then increase the amount of light. If the leaves look yellow-green, they are getting too much light. Some species need a day-to-night temperature difference of 10 to 15 degrees Fahrenheit to bloom properly. Often, the heat from the fluorescent lamps is sufficient to raise the temperature during the day. 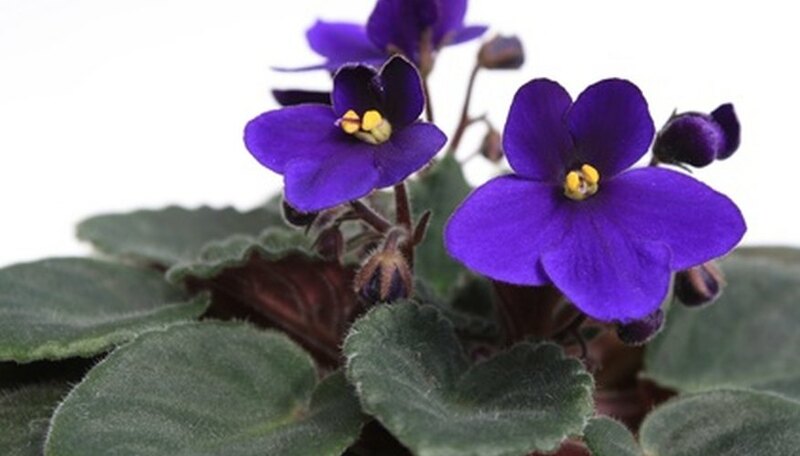 African violets thrive in most household conditions, which makes them an excellent choice for growing indoors under fluorescent lights. The plants are generally small, and many can be grown under a single twin 40-watt tube fluorescent fixture. Place the plants about 12 inches below the tubes. African violets like moist, but not wet soil. Watering is necessary only when the soil surface is dry to the touch. Avoid getting water on the fuzzy leaves because it causes them to have brown spots. Spider plants are one of the easiest to grow as houseplants. They adapt well under fluorescent lights. Normally, they prefer bright indirect light, but they can adapt to lower light situations if needed. Place the plants about 4 to 12 inches below the fluorescent tubes. Spider plants like rich, well-draining soil and should remain evenly moist. They are not picky about temperature or humidity levels, and normal household conditions should be adequate. Spider plants are easily damaged by fluoridated and chlorinated water, which cause the leaf tips to turn brown. To prevent this, water them with distilled water or rainwater.